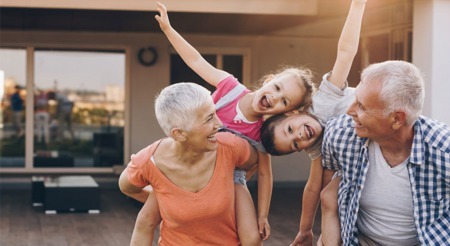 All the wonderful amenities afforded by ownership in the Chelan Hills community, plus an impeccably maintained Custom-built home on a dead-end street make this opportunity one to seriously consider. 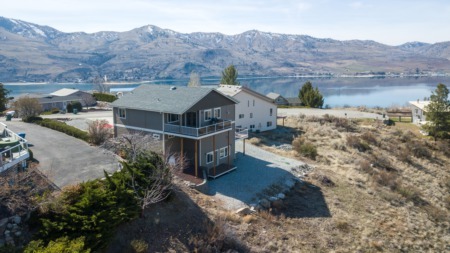 Built as a raised daylight basement, the main living area is upstairs to maximize views of Lake Chelan, Sllide Ridge and the Butte. This level is a very open concept with large vaulted Great Room, Dining Area and a gorgeous Kitchen with 2 sinks, under cabinet lighting and wine fridge. A large breakfast bar for casual dining allows for more seating. Directly out the Kitchen window is a direct view of the Butte...sooo pretty in Winter! Also on this upper level is an office/den, walk-in Pantry and cozy Media Room which is wired for speakers. French doors to a BBQ deck which offers Northern shade during super hot Summer months. There is a great Lake & Mountain view from all 3 decks in this home. The main (entry level) floor has 3 bedrooms, including the oversized Master suite with "His & Hers" closets, Lake view balcony and sumptuous tile bathroom. Another tiled bathroom and utility room is also on this floor. Downstairs you'll find a charming wine cellar, 4th bathroom and a large Bonus room....perfect for extra sleepers, exercise room, game room....whatever you'd like. The 3rd deck is also located off this room, also with Lake and Mountain views. The home has dual zone heating & cooling, central vac, extensive parking, fully finished 2 car garage, RV parking with utilities & dump in place. Low maitenance landscaping and recent exterior painting too. Chelan Hills offers 3 parks, 2 of which are waterfront parks. 2 Swimming pools, one is waterfront. Day use docks, picnic areas, bouys for longer term use. All for the very low annual dues of $525!